The Canadian Rock Band, Guess Who, was one of the first bands to establish a major successful following in Canada while still living there. 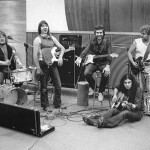 They were also the first Canadian rock group to have a number one hit in the US as well. Guess Who had a very distinct style of music which can only be described as Mersey beat inspired rock that was a mixture of rock, jazz, and blues. Their 1969 ballad “These Eyes” and an edgier hard rock song “American Woman” were two of their greatest hits and sound wonderful on vinyl. 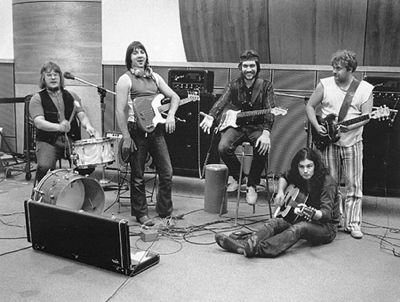 THE GUESS WHO ~ HEAVEN ONLY MOVED ONCE YESTERDAY / GUNS GUNS GUNS 45 RPM 7"
1974 THE GUESS WHO "CLAP FOR THE WOLFMAN" 45rpm 7"